Blue Balsam Peppermint- Also called Blue Balsam Tea Mint. 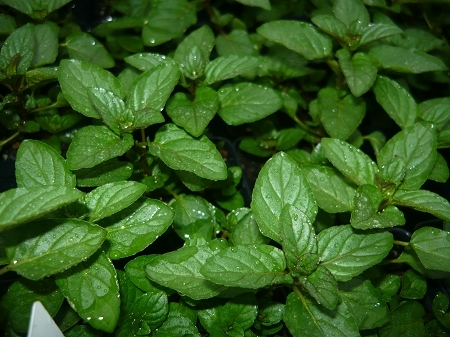 Very strong peppermint aroma and flavor make this mint variety a favorite for tea and culinary use. Robust growth habit with dark green leaves. Easy to grow perennial zones 4-9 Live plant in 3 inch container. Love the Smell, Taste and look of this one! I have in a tall pot and it cascades down....lots of people comment on how nice it looks.